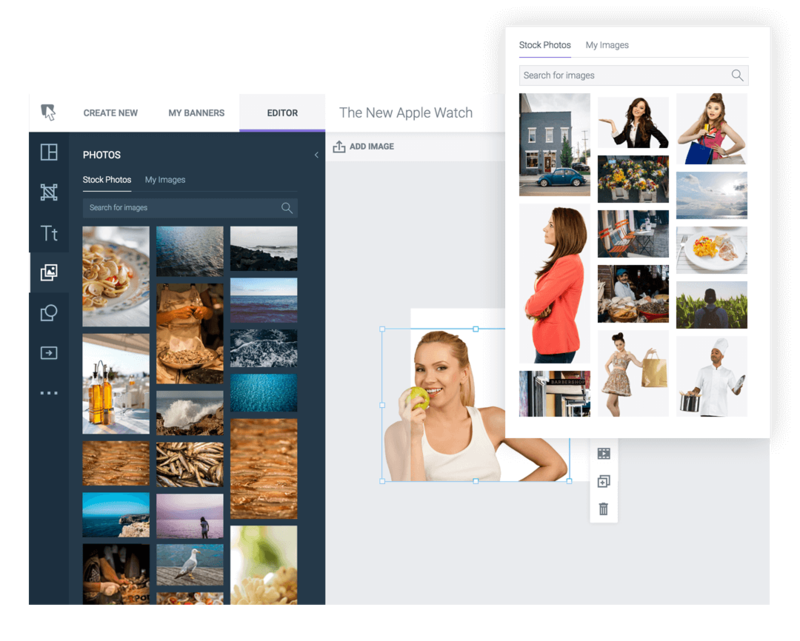 An all in one design platform that offers powerful & professional features. Maximize your productivity with less effort. Create stunning banners within minutes. 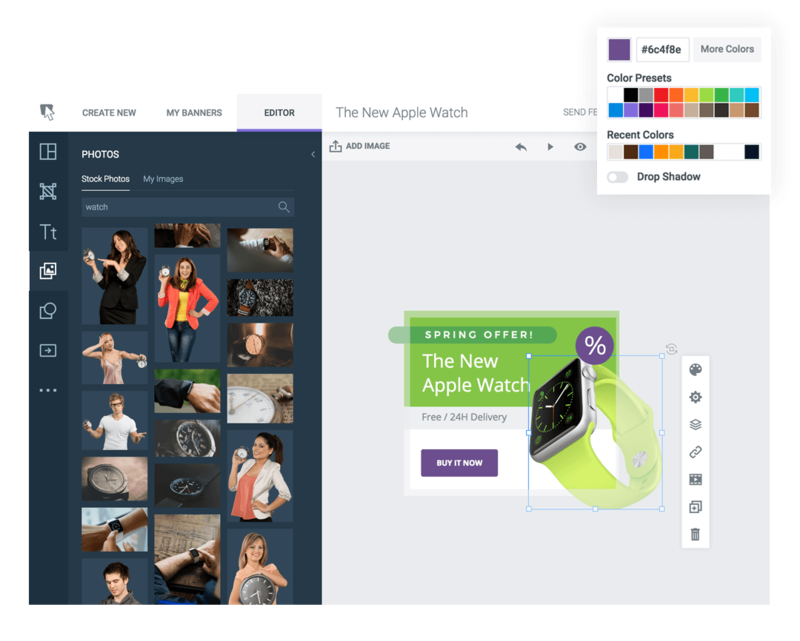 Drag and drop images, text buttons, and other visuals to create your perfect banner. The banners are compatible with all major ad networks. Start from scratch or choose one of the many professional templates created by designers and optimized by marketers. Make your banner stand out by adding animations, interactive elements, and powerful Call-To-Actions. Once you've created your banner, you can download it in the most popular formats. You can also embed it using our latest Smart Embed feature. We all know that banner ads featuring images of people perform better. Use professional photos directly from our stock or upload your own. We also did the hard work and added the images with transparent backgrounds. Social media posts and Facebook Ads? It's easier now with Bannersnack! Create ads and shareable visuals for Facebook, Twitter, Youtube, IAB, Pinterest or LinkedIn. Engage more people and grow your online business by making high quality, professional banners. Start now and create your first banners for free! It's not always easy being creative. That's why we have hundreds of free templates you can use for your banners. 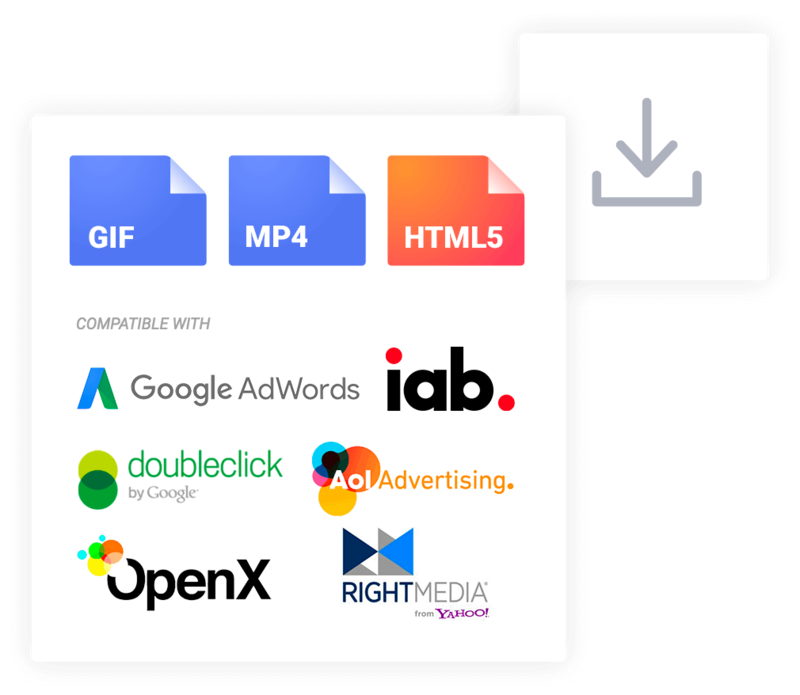 Compatible with all major ad networks including Google Adwords, iab, Facebook or Twitter. Browse through this list to learn more about how you can improve your marketing with Bannersnack. An easy to use and professional banner editor. Create and adjust complex animations with ease and precision. Use and export your banners in multiple formats. 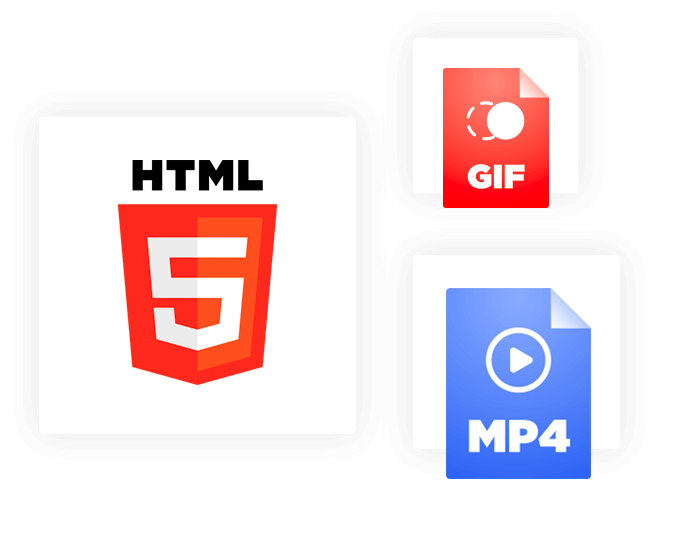 Upload your images and convert them to a GIF file. 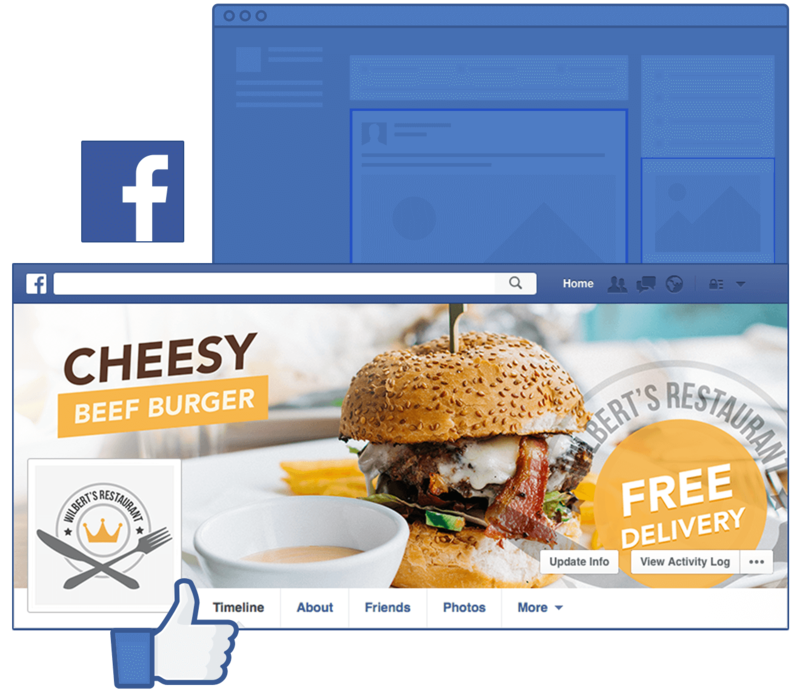 See how your customers interact with your banners. Use any of our free and eye-catching font styles. Create a banner set for every marketing campaign. They come in many shapes and sizes, choose the right one. Be more productive by sharing your workload with others. Create full sets of static or animated banners, all at once. Make your banner stand out by adding a video. Get informed and stay sharp, learn the best practices.